This is enough to make your eyes water: CAR magazine reader David Whitton spotted this clutch of Alfa Romeo 4C sports cars at a breakers yard on his Continental summer holiday road trip. We think these are prototype 4Cs bound for the crusher. 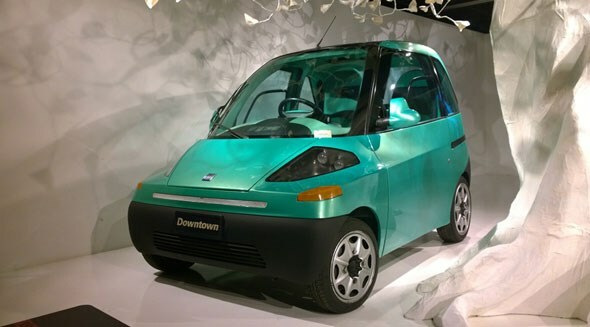 Although seemingly sacrilegious, this is the fate due to most manufacturers’ pre-production prototypes, which can never be released to customers for sale. David’s 2014 summer holiday was a European road trip with the ultimate destination of his wife Martina’s home town of Alexandroupoli, in mainland of Northern Greece. It’s a great find by David – we tip our hats to his great photos that he’s shared with us. Remember anyone can upload their own stories to www.carmagazine.co.uk by following the links at the foot of each page. ‘Our start point was Livingston, Scotland and once through the Eurotunnel we headed for Paris then got financially mugged by the French toll roads all the way to Lyon where we hung a left and headed for Turin,’ David tells us. ‘We were mugged again to the tune of €55 to pass through the Mondane tunnel into Italy. ‘I also fulfilled a boyhood dream of visiting the hallowed gates of Ferrari at Maranello. 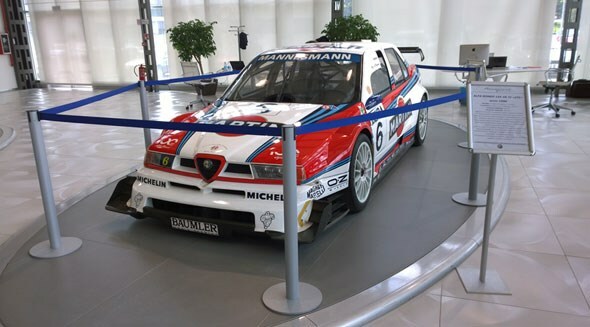 These dreams were fired up by reading the articles by Mel Nichols, Ian Fraser, Steve Cropley and Gavin Green in CAR magazine. 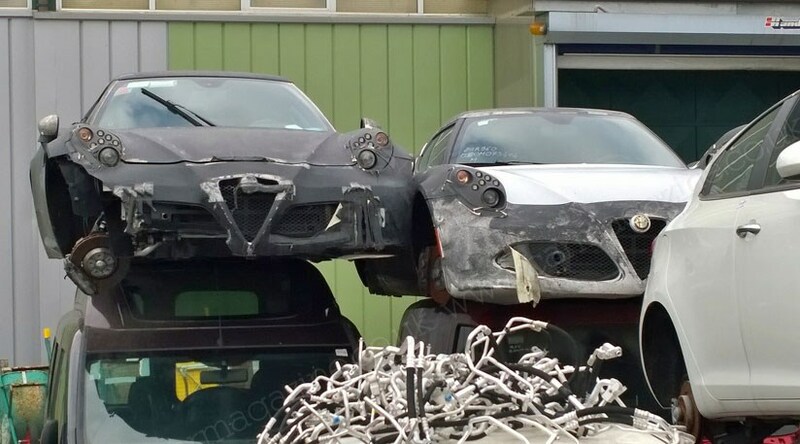 Alfa Romeo 4C test hacks spotted in a crusher's yard in Italy A sorry sight: Alfa Romeo 4C at the breaker's yard on the outskirts of Turin Sadly, all car manufacturers have to crush their pre-prod prototypes Guard dogs keep snoopers at bay. But not CAR magazine reader David Whitton Elsewhere on David Whitton's road trip, he visited Maranello David Whitton (bottom left) on his family holiday to Italy and Greece. Our kind of road trip!